Do you like mobile games? Do you have even a passing fondness for Dungeons and Dragons? And I bet you’re tired of seeing games on the app stores in which the objective is usually to reach a higher and higher score. 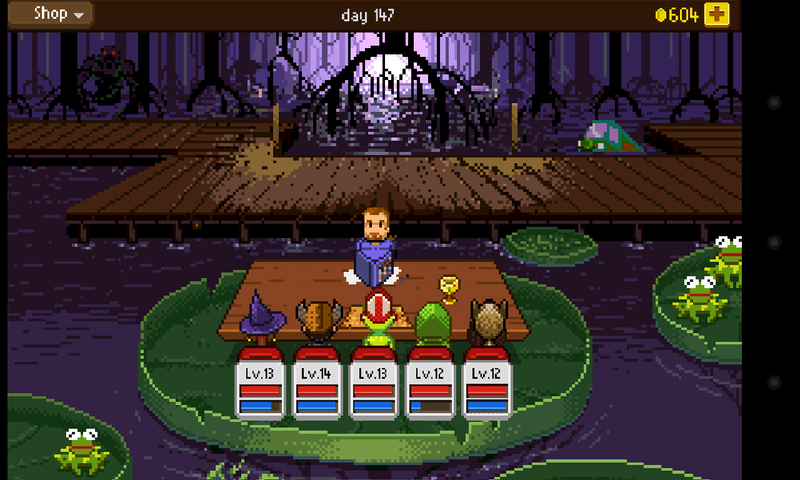 If you want a game with just a tad bit more depth and complexity then Knights of Pen and Paper is the game for you. It was on sale a few weeks ago for $0.99 if I’m not mistaken but it is running at $2.99 currently on both the Google Play store and the iTunes appstore. You start by creating a party of two characters initially to which you can add more with gold coins that you earn by completing quests and slaying monsters. You have characters and then you have players. See it’s a simulation of a table top role playing game filled with a dungeon master and actual players who are role playing their characters while the former leads them on through their adventure. Battle works very similarly to old school JRPGs, you enter battle with monsters and you can choose to do basic attacks, abilities, use items, defend or run. Strategy can be important in tough battles but it’s mostly not very complex. You use a map to travel to location and depending on how good you roll, you may or may not be attacked on the way. The ‘actual players’ vary from mild-mannered working man Mr. John to Grandma, Nerd, Gamer, Jock and so on forth. 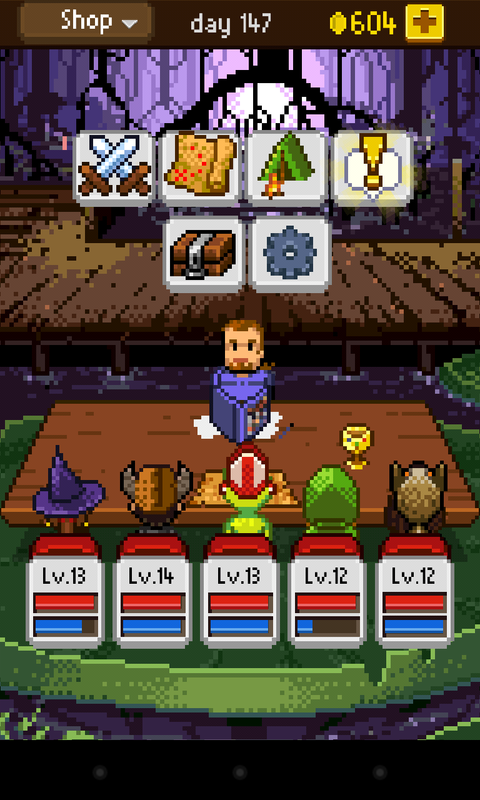 Each players have bonus passives such as additions to skills or bonus experience, or discounts at blacksmiths, etc. And each player can select one class out of six initially (more can be unlocked as you keep playing) each with their own unique abilities and passives. A mage is obviously focused on casting devastating spells while the fighter can focus on skill that lets him strike multiple enemies, a cleric that can heal and weaken the enemy or smite them down, and, my favorite, the rogue who can focus on dealing devastating damage to single enemies thanks to high crit ranges. 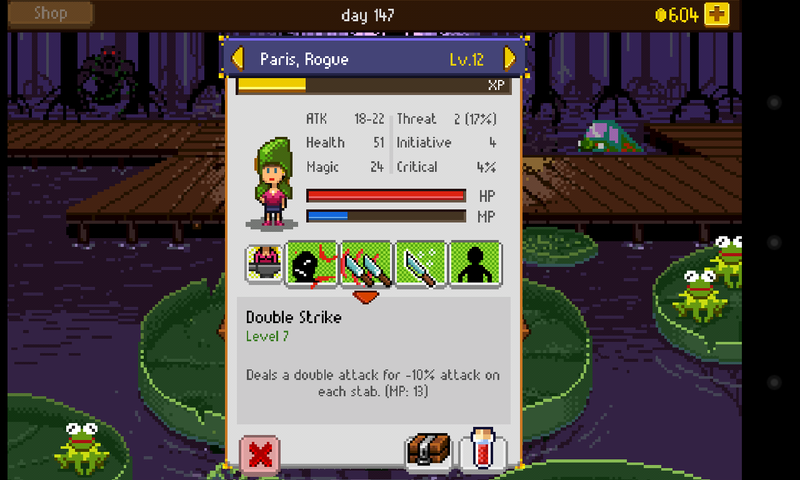 You level up your characters through battle and finishing quests and you can put skill points into your skills to make them powerful. Tip: Try to focus on certain skills of each character instead of evenly distributing your skill points. You can upgrade your weapons at the blacksmith (which costs gold coins) and you can equip items that you find on your travels to buff your characters further. Gold coins are very important. They basically let you play the game. Traveling will require it, upgrading your basic armor and weapon will need it and if a character dies you will need to resurrect them and that costs gold. While you can buy it with real world money (it’s an unobstructive little button on the top right) it’s not necessary if you pace yourself. You can always grind on goblins and other monsters to earn more gold of course. I’m a sucker for 8 bit graphics. Specially 8 bit graphics done right. 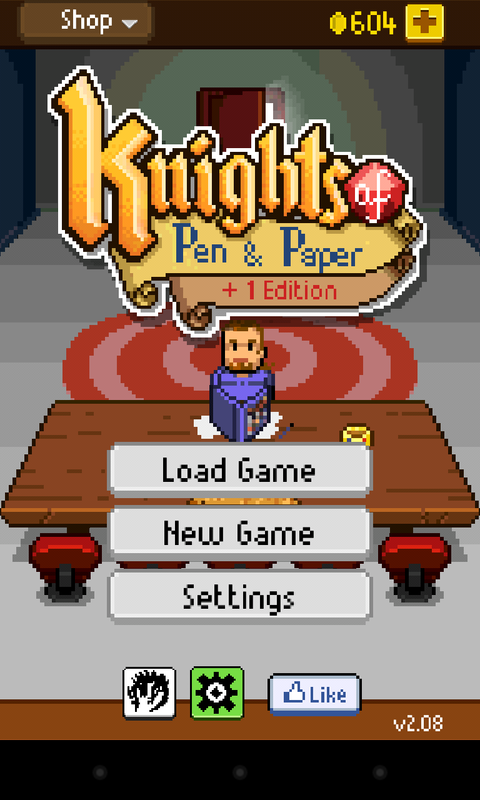 Off the bat Knights of Pen and Paper reminded me of old RPGs and JRPGs I used to play on the SNES or the Game Boy Advance. Bright, colorful and really hooks you into its adorable world. It’s all beautiful pixel art and makes you jealous why you don’t have the skills to do such things yourself. The game offers a lot of classes eventually and it’s always a different change in the pace when you want to try a different combination. Had a balance of mages and fighters? Why not try playing with a full mage party? Or full of tough brawlers? Easily done. The action romp nature of the game makes it a fun play and you can easily progress your game when you have time to idle, say at a bus stop or at a line.